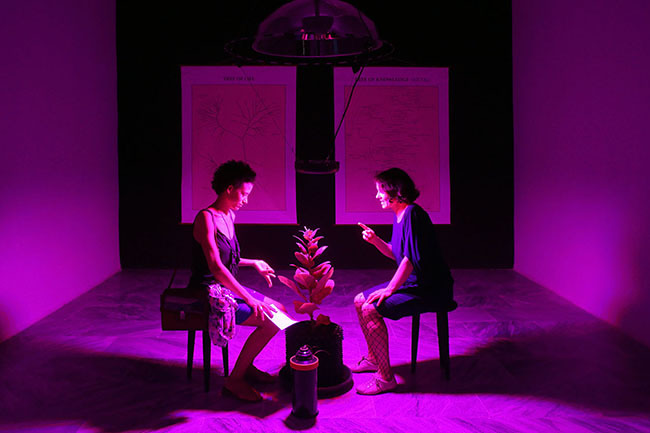 The project The Eden Experiment II (The Habana Habitat), presented by Nikolaus Gansterer is a re-installation according to experiments researching on the influence of music on the growth of plants critically questioning how life forms are differently developing in divergent milieus / systems. 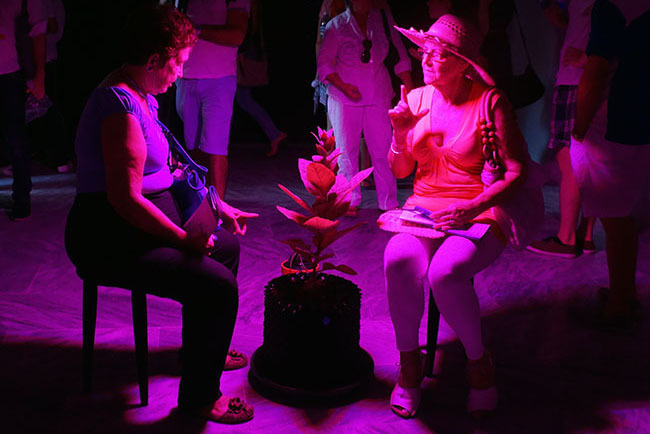 In an intricate test arrangement the public experiment is started to manipulate the growth of plants only by means of sonic irrigation. 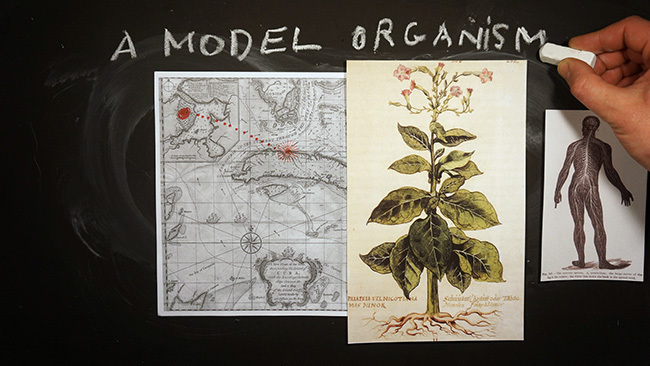 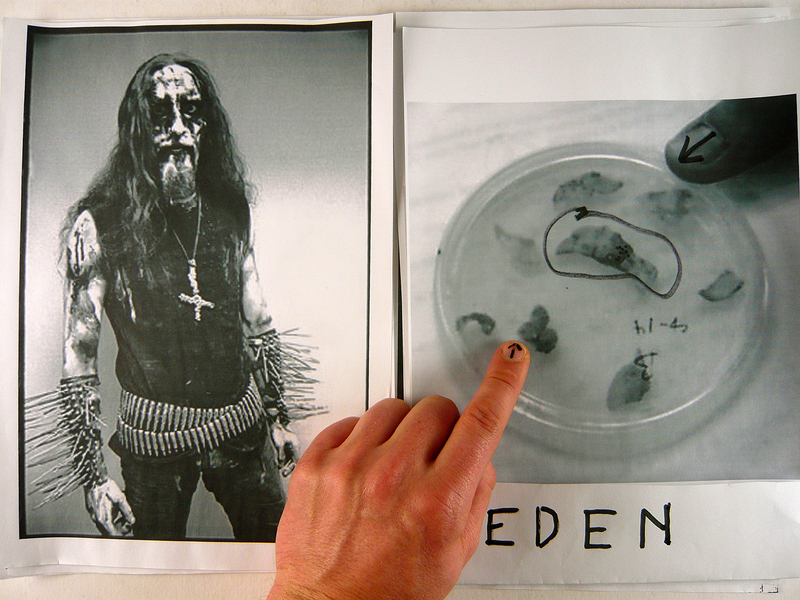 Two identical model organisms of the species Nicotiana tabacum (Tabac) are confronted with classical music (Johann Sebastian Bach) and Cuban Black Metal music. 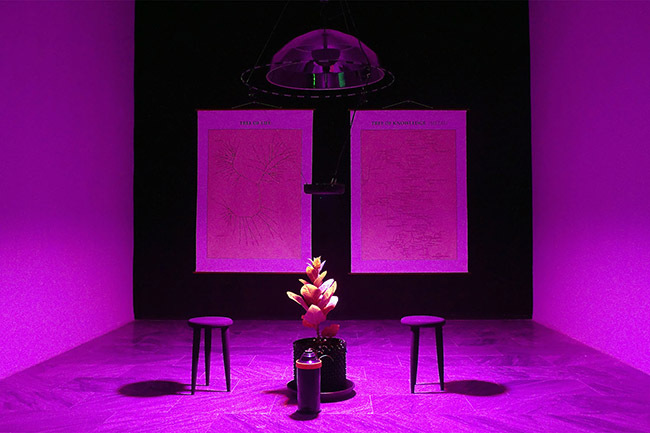 Two parabolic loudspeakers focussing sound waves, two special grow lights hanging from the ceiling and two Tabac plants situated directly under the light and sound system are the central protagonists of the installation. 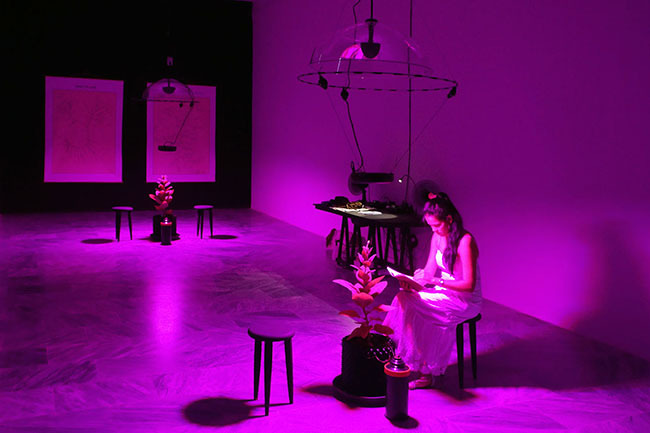 The visitors are invited to become part of the experiment by sitting next to the plants and listening to the sonic irrigation. 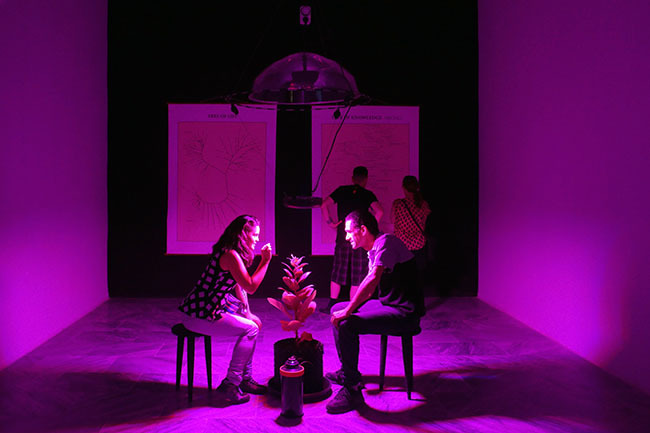 Based on the enormously rapid growth of the plants the audience will be able to experience and witness the progress of “The Eden Experiment II” during the biennial at the Wifredo Lam Contemporary Art Centre on a daily basis. 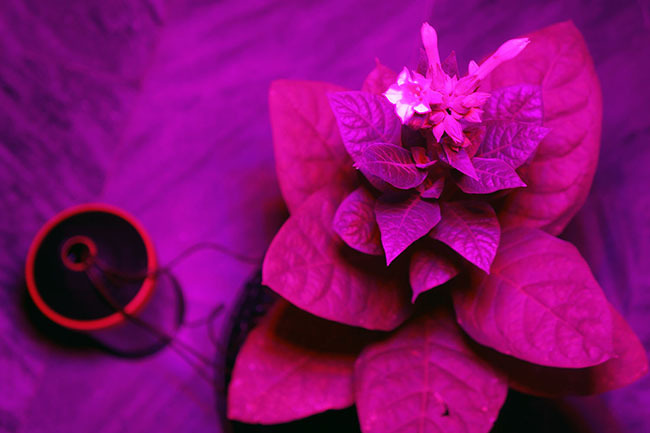 The Institute for Plant Physiology of the University of Havana (under the direction of professors Eduardo and Patrizia Ortega) will monitor the process of the experiment and later analyse the plants and their root network. 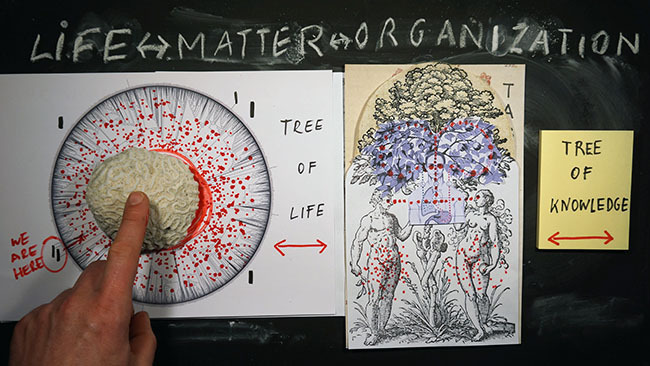 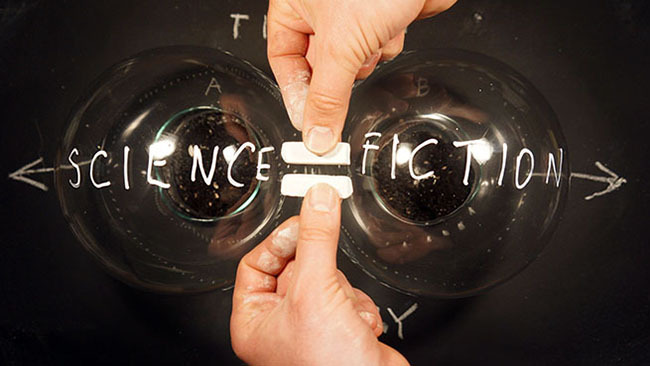 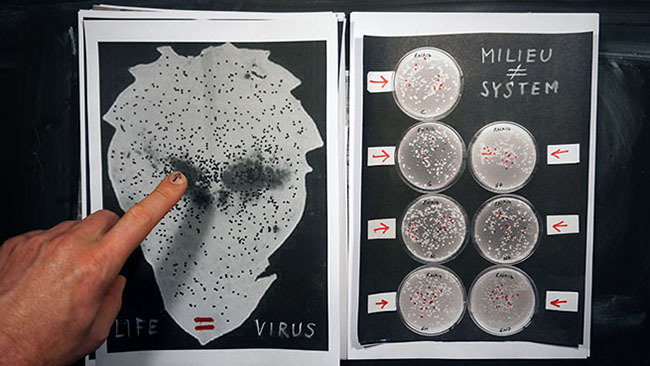 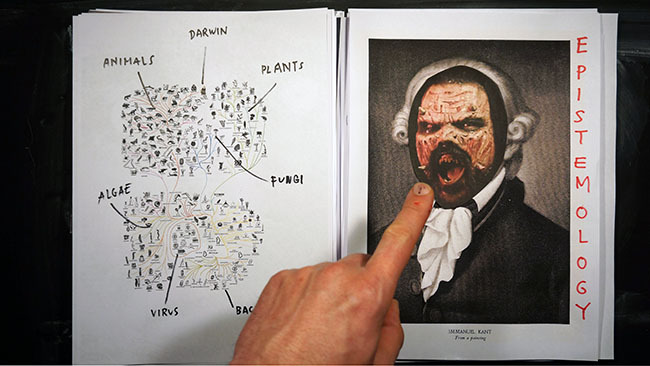 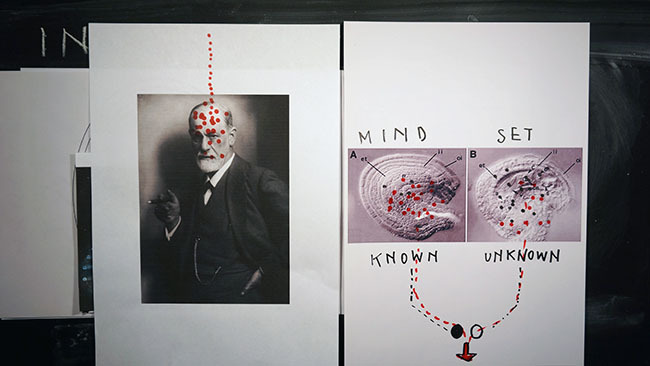 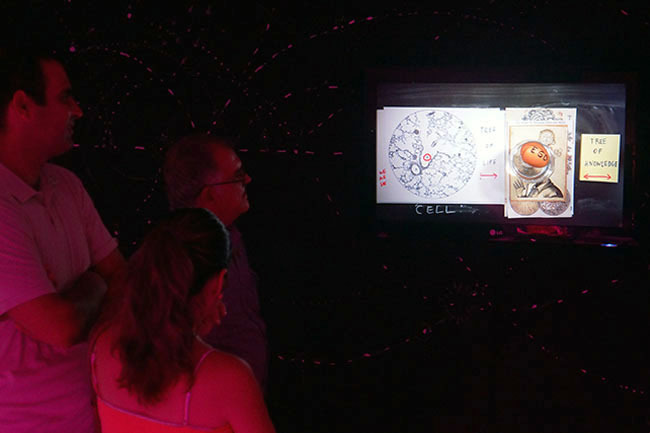 In the video “Harvesting the Trees of Knowledge” (2015), shown on a flat screen Nikolaus Gansterer activates research material in form of a performance lecture by questioning the conditions and differences of artistic and scientific knowledge production. 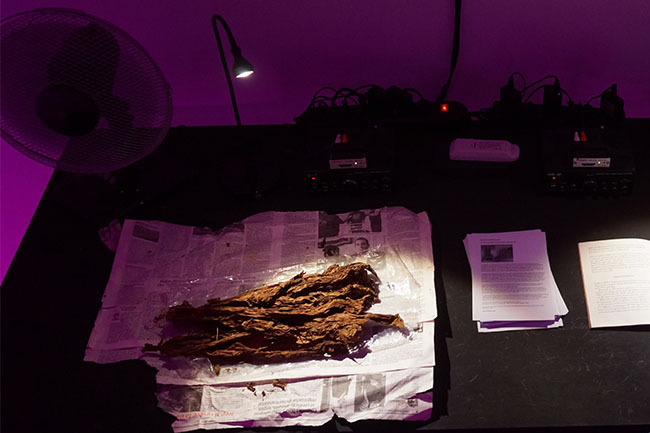 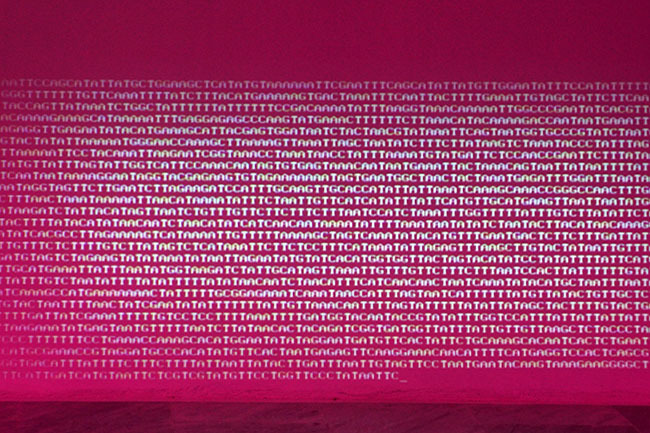 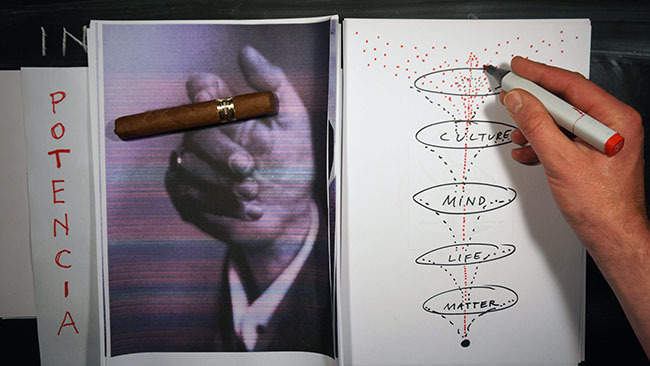 On a black work table – in contrast to the living test plants – the entire genetic code of Tabac is projected onto dry Tabac leafs. 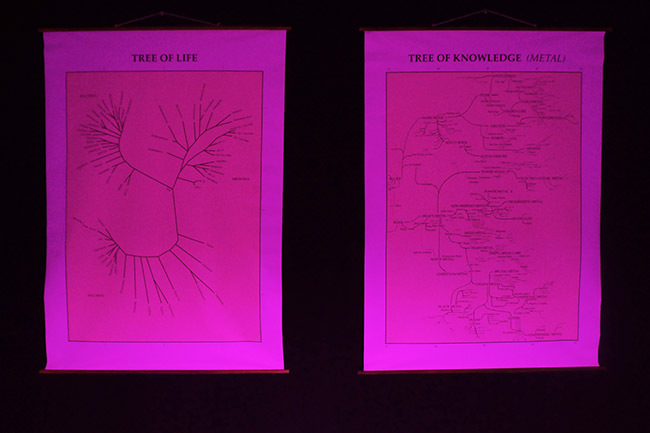 Large wall maps and diagrammatic drawings on the evolution theories (Tree of Life), the cultural development of metal music (Tree of Knowledge - Metal), and history of the Enlightenment (Tree of Knowledge – Light) display exceptional cross-links between ideologies, religion, music and genetics. 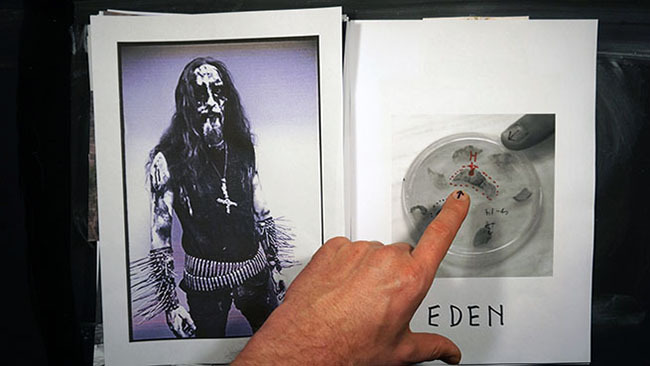 The Eden Experiment confronts us with an equivocal system of theories about the basic influence on living organism and ironically addresses omnipresent anthropocentric strategies of manipulation and technologies of reproduction in the tension field of art, nature and society. 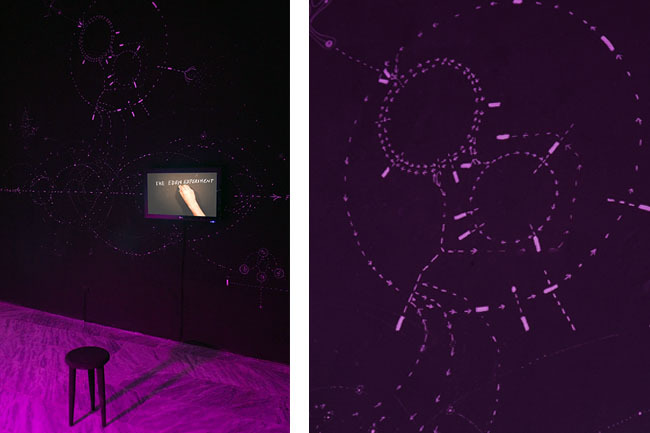 The work is part of a series of projects by the artist scrutinizing the interdependency between living and non-living matter. 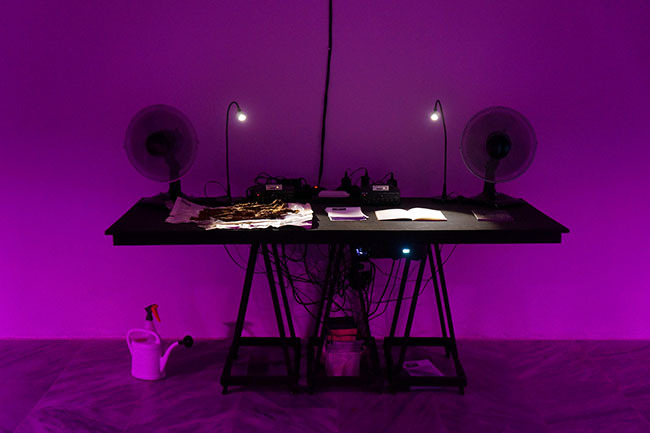 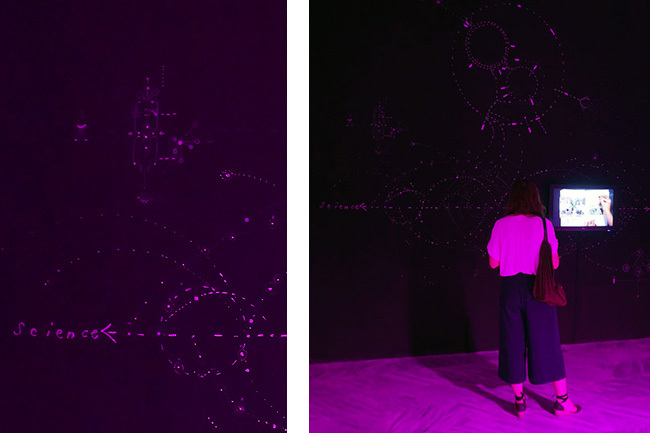 "Between the idea and the experience": 22 May - 22 June 2015. 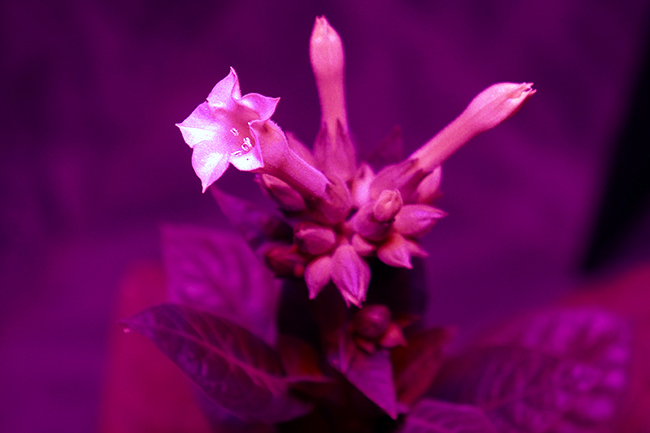 Due to great success the Eden Experiment was prolonged till end of August 2015! 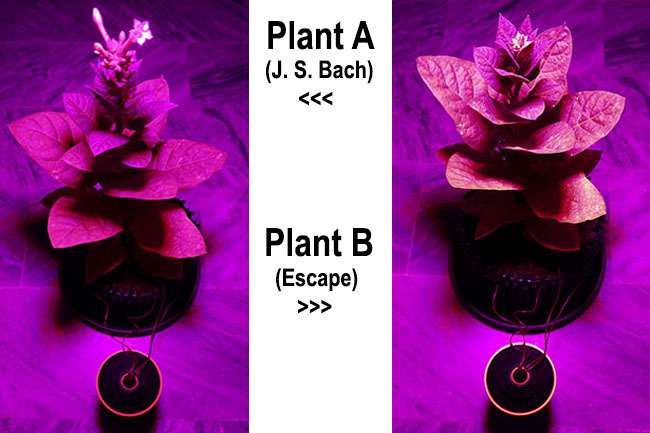 The project was kindly funded by the Austrian Bundeskanzleramt für Kunst, as well as the Austrian Embassy in Cuba and supported by the Institute for plant Physiology of the University of Habana (under the direction of professors Eduardo Ortega and Patrizia Ortega) and Ledcont - Growlightsolutions Vienna.